You won't be able to win here. I don't think ANYONE can win here. APCs can't attack. 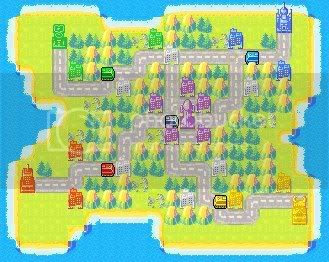 Now if we were playing Famicom Wars THEN they'd be able to attack each other, but Famicom Wars doesn't have custom maps. I just wanted to see how many people I can tick off. I was thinking of adding missiles but I thought 'Ah, I'll let them figure it out.' Anyway, I don't know much about FW. I've seen a few videos on youtube thought.